MKH 50, Small diaphragm condenser microphone from Sennheiser in the MKH series. The MKH 50 is a really amazing sounding mic that I was lucky enough to get to use for a couple of sessions at a very nice studio. 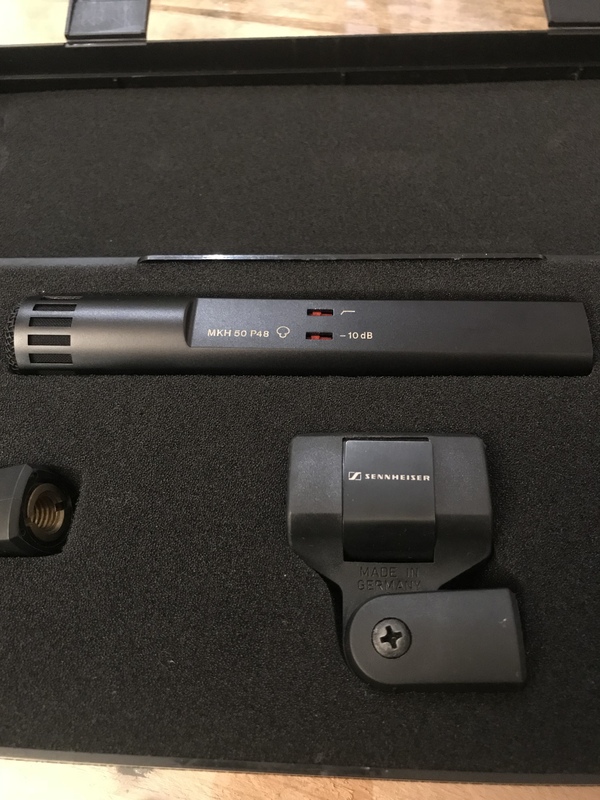 It is a small diaphragm condenser mic that has standard connections. 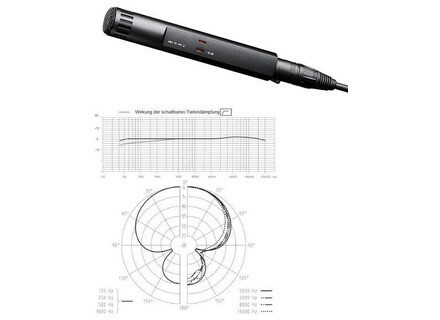 You hook it up with XLR that has +48v power for the mic. The mic itself is a super cardioid pickup pattern. This mic is very precise in its pickup area. The side and back refection is really big, so the mic placement when using this one seems to be very important. The mic also has a couple of nice features that make it a better value. It's got a 10 dB pad so if you are in danger of overloading and clipping with this mic, you can just flip the switch for the pad and you should be safe. There is also a low cut filter on it that you can switch on or off. It is designed to help reduce any added low end you get from the proximity effect if you are close miking something. All of these features add up to make this a really great mic for accurately capturing instruments that demand a lot of clarity, like violins or flutes. The super cardioid pattern also means that it excels with recording a solo instrument because you can really hone in on one particular area. I have used this mic a few times, and am pretty familiar with it though I don't own it myself. I love the very crisp, realistic sound. It sounds totally amazing on acoustic guitars and violins! If I had to complain about this mic I would just say that it is maybe a little over priced. Even still, the mic is very nice. I'm not sure about the overall value because it is pricey, but I'll just say it's a fair value. I hope to get one some day! 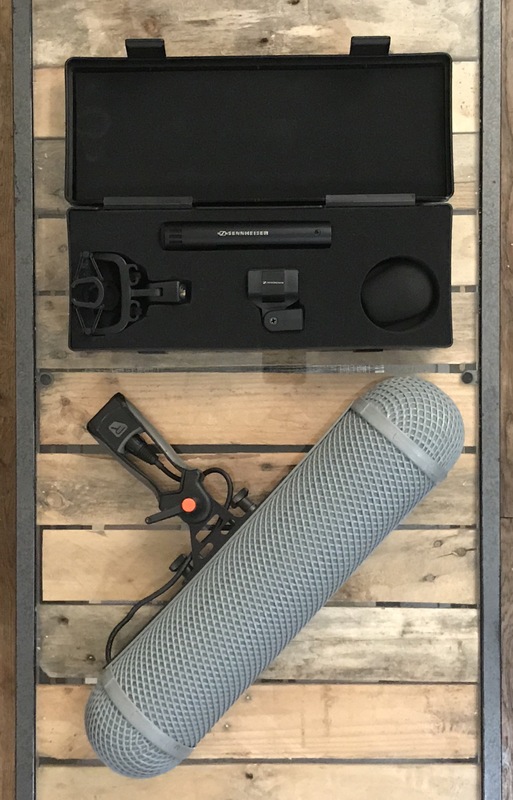 The MKH 50 is a cardioid condenser microphone Super-preferences that is used as a microphone as a soloist and backup in the event that an effective suppression latrale good insensibilit to clashes acoustic research. Its directivity of indpendante frquence allows sound pick-up, without any change in the sound balance. 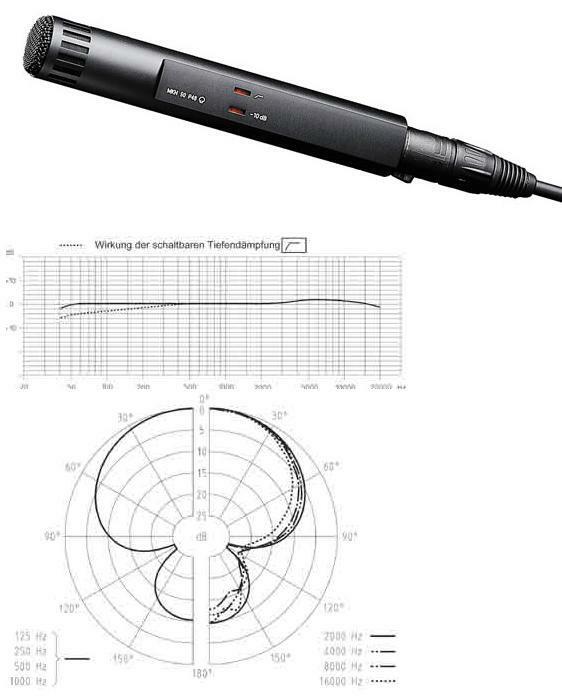 it has a greater attnuation latraux sounds and sound diffuse field a cardioid. A microphone boom perfect, which is actually a studio microphone for narrow areas. The Rolls Royce of its class! manooeuvrable lightweight, clear, warm, flat no hump at all. Essential when it tries it takes!